French aviator, Louis Blériot (1872 -1936), successfully developed and manufactured the first practical headlamp for cars, which helped fund his flight efforts. His experimentation and development in aircraft led to fame, fortune and one of the world’s first monoplanes (fixed-wing format with one main set of wing surfaces). But it’s his motorcycle that grabbed our attention. A pair of brass Bleriot side lamps for Rolls-Royce Silver Ghost. 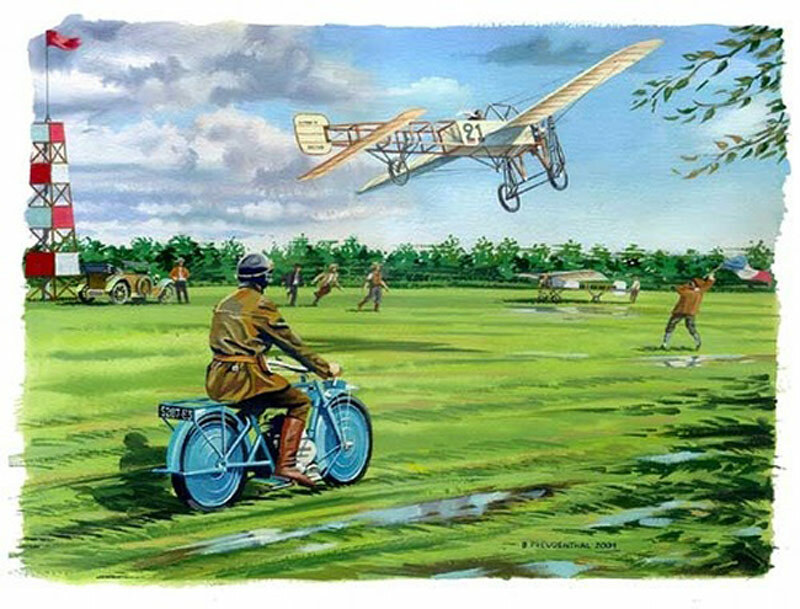 In 1909, he was the first to fly across the English Channel in a heavier-than-air aircraft (others before had flown across in a balloon). Interestingly, his wife was aboard a ship that set out ahead so he could use it as a visual reference of the right direction. He ended up flying passed it before getting a visual of the other side of the Channel. He would fly for 10 minutes seeing only water before finally spotting land. Spotters waved flags to direct him toward an open grassy area to land in. 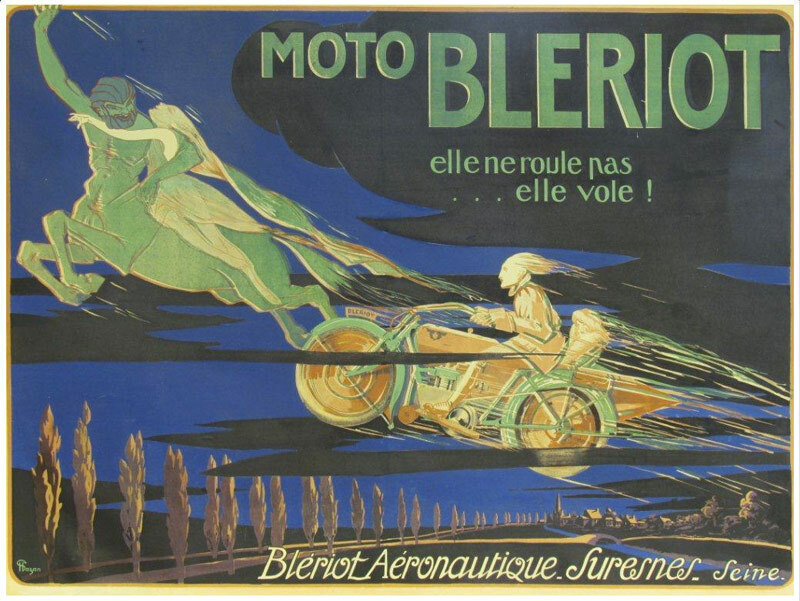 After 1918, with the demand for aircraft slowing down (end of WWI), Bleriot Aeronautique took on contracts to build fishing boats, a motorcycle and a cyclecar with 2-cylinder 2-stroke engines and shaft drive (scroll down for a pic). 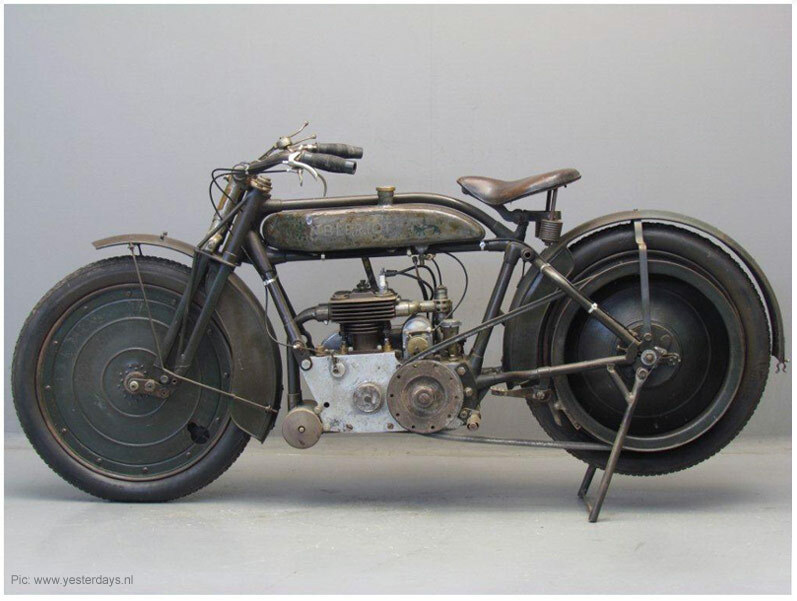 The motorcycles would be manufactured in Paris, the cyclecars in their England factory. Toward the end of its operation, the company would tackle projects to develop a four-engine floatplane (1929), twin-engine airliner with twin fuselages (1931) and a single-engine amphibian flying boat (1931) among many others. 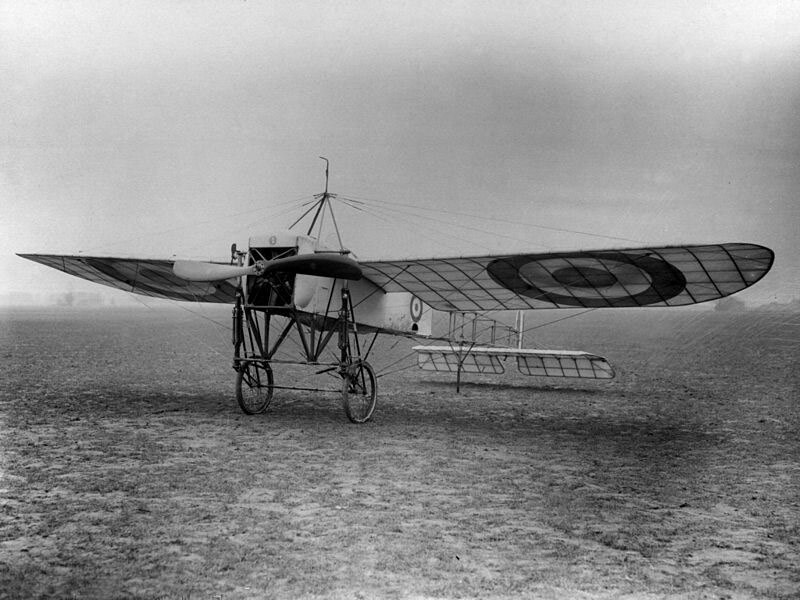 Royal Flying Corps Bleriot circa 1915. 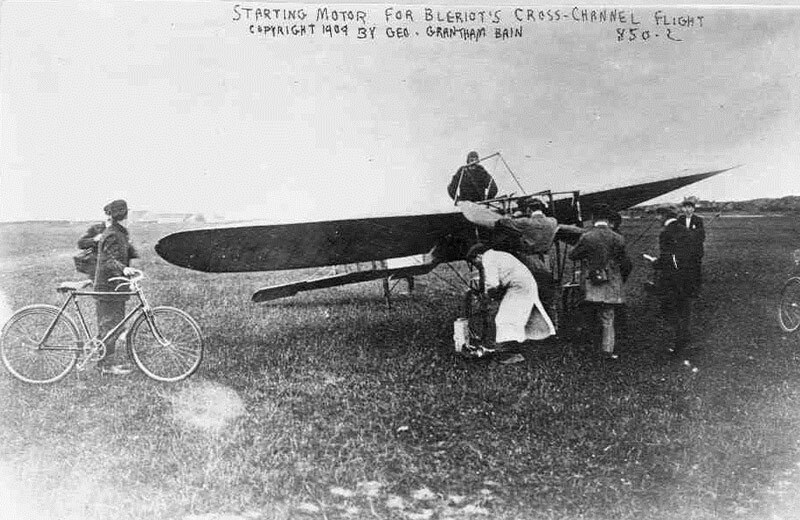 The Bleriot cyclecar and Louis Bleriot. 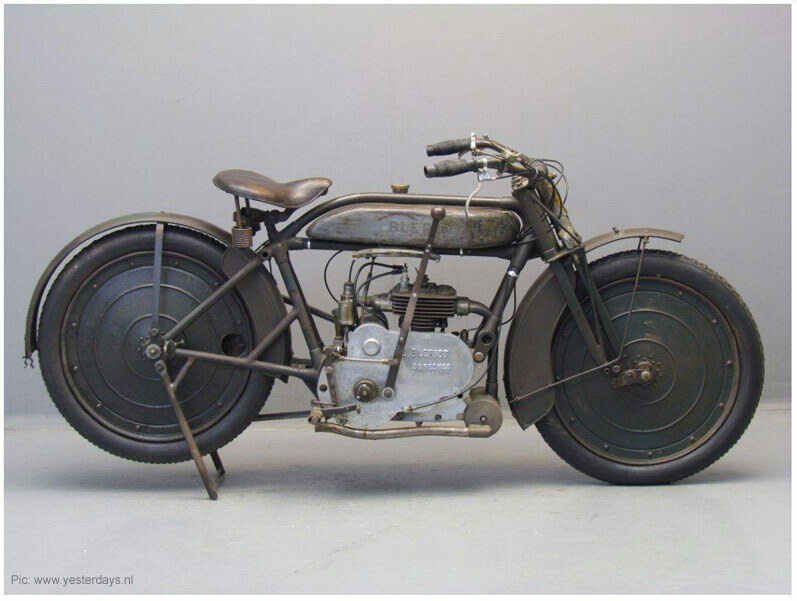 In 1919 the bike was introduced and manufactured until 1923. We dig its uncommonly cool ‘disc’ wheels and cool blue hue. 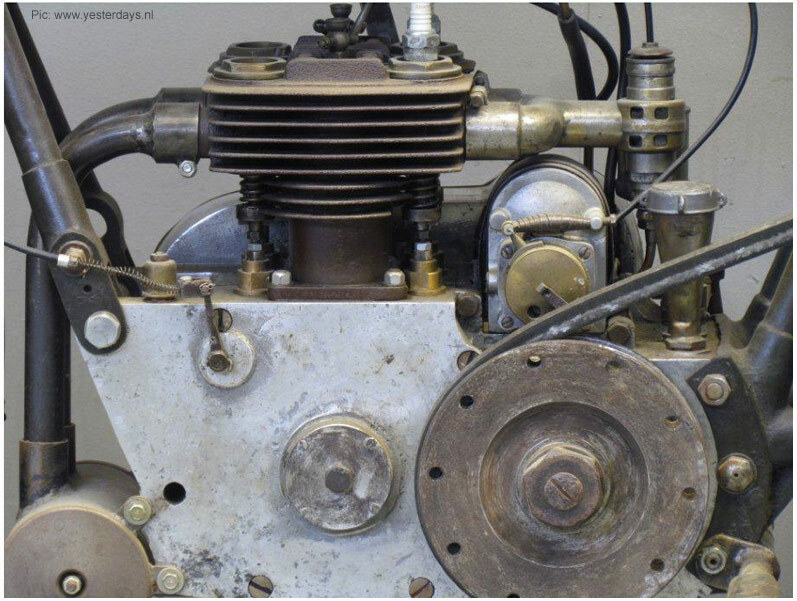 The 500cc powerplant (497cc to be more accurate) consists of a side-valve parallel twin four-stroke with 5HP. It was advertised that the three-speeder could achieve 46mph (75km/h). 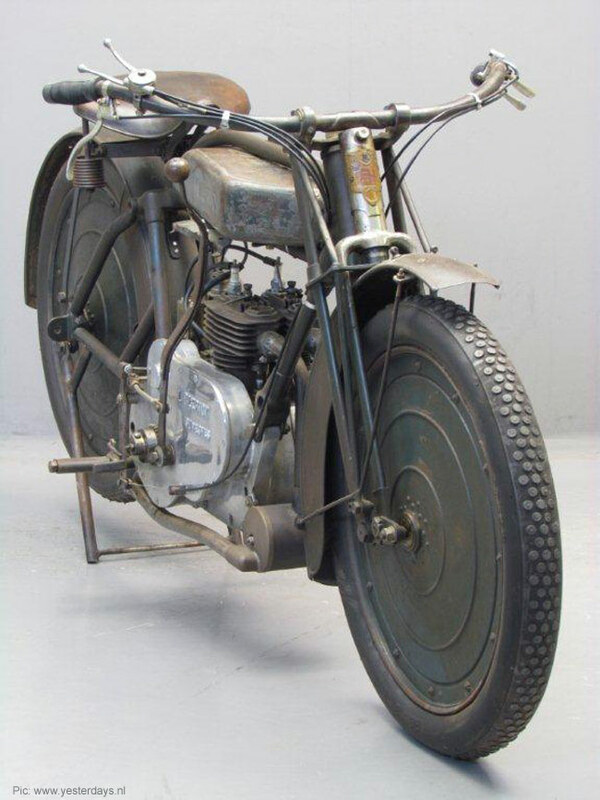 For sidecar applications, you could order a 750cc engine with reverse. 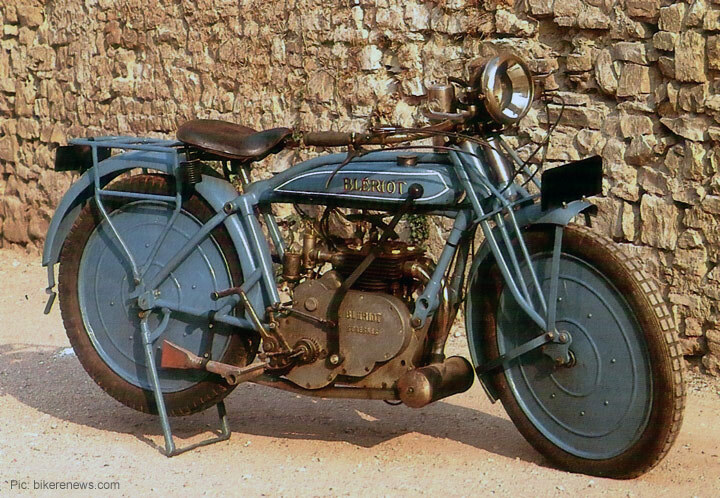 The two-wheel versions came in Sport, Touriste and STD…with an option for rear suspension. A 500cc side-valve parallel twin four-stroke with 5HP. 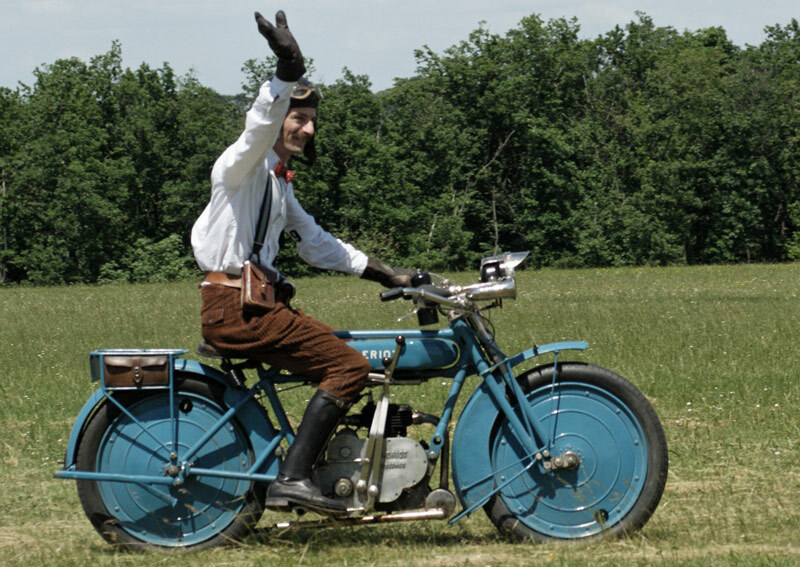 A nicely restored Bleriot motorcycle. Don’t know the original source for this painting…but we love the work! Whoooooooo ! C’est beau !!!! !